A few months back, I wrote about how Domino’s Pizza brought ordering pizza to the 21st century with emojis and Twitter (http://blog-de-marketing-online.com/order-pizza-with-a-tweet/). For many, phone calls are a thing of the past and Domino’s has kept up with the times by accommodating the emoji language. However, what happens to those that don’t quite grasp the nuances of digital dialogue? Domino’s has launched another campaign in line with their emoji pizza ordering initiative to bridge the gap between the emoji literate and illiterate. This playful campaign includes an entertaining video and a landing page with four calls to action: watch the video, download the emoji flash cards, test your knowledge and put it to the use by ordering Domino’s with the pizza emoji. It’s a fantastic tongue-and-cheek campaign that keeps the Domino’s emoji pizza ordering option in the spotlight. 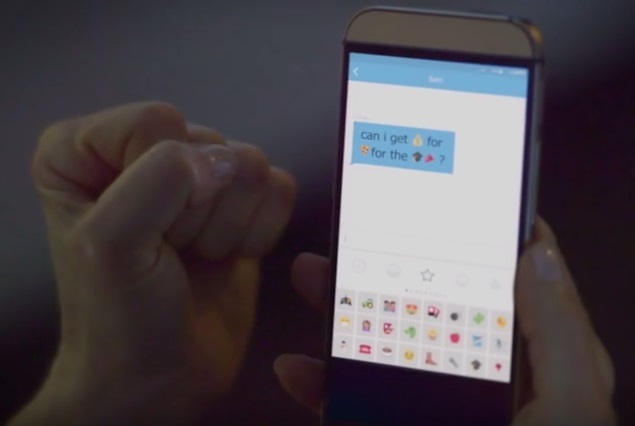 So how well do you speak emoji? Give it a go by visiting emojiliteracy.com.